This is how you tell the entire world about ending poverty. Talking to 7 billion people? Not a small task. Getting 7 billion people to take control of humanity’s future? Yeah, not exactly easy either. Yet, this is the challenge the Global Goals Campaign is taking on. The Global Goals Campaign is an effort to get every person (literally every person) aware and supporting the Global Goals that will guide the next 15 years of international development. After the UN adopts the goals they will need world leaders to start acting on them. And the best way to get a world leader to do something, is to get their constituents involved and motivated. This brings me back to the goal of talking to 7 billion people. The best way to make sure the Global Goals are successful is to make them famous. 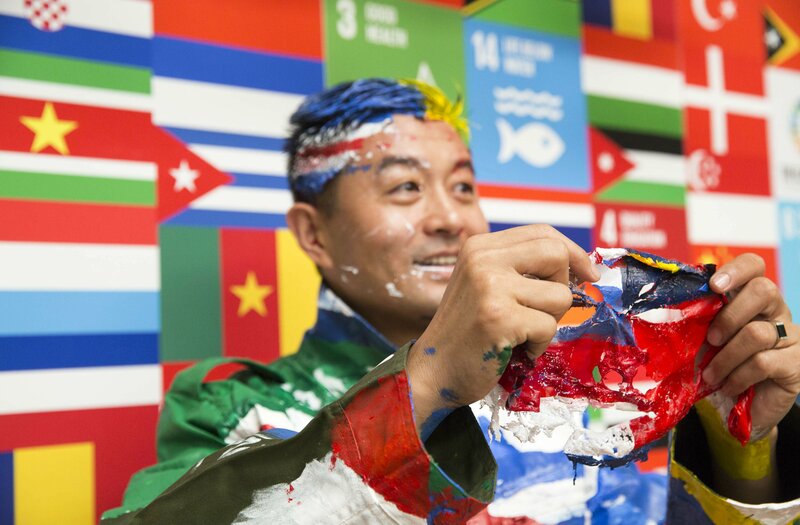 So famous that world leaders are forced to make, and follow through on, strong commitments to achieve the Goals by 2030. The Global Goals Campaign aims to accomplish this by engaging 7 billion people within 7 days of the Goals being adopted. This is going to take a lot of work from a lot of people, including Action/2015, Global Citizen and Project Everyone. 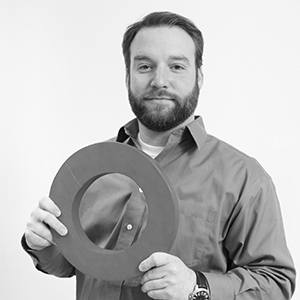 The campaign will feature a global list of talent and a slew of events. Some of the notable names include (and this is by no means complete): AR Rahman, Ashton Kutcher, Bill and Melinda Gates, G.E.M., Gilberto Gil, Jennifer Lawrence, UN Messenger of Peace Lang Lang, Meryl Streep, Malala Yousafzai, One Direction, Her Majesty Queen Rania Al Abdullah of Jordan, Richard Branson, Robert Pattinson, Robert Redford, Professor Stephen Hawking, UN Messenger of Peace Stevie Wonder, sports stars Gareth Bale, Gary Lineker, Mikel Arteta, Theo Walcott, Liverpool FC, WITS Bidvest, Brazilian comedians Porta Dos Fundos. Some of those names on the list have already made some awesome public content. The sports stars and Brazilian comedians got together for #DizzyGoals, a great activity my colleague Caryn profiled here. And for the One Direction fans, check out the film they did with their fans on the Global Goals here. And it’s not just the all-stars involved, it’s the events and gatherings that will help amplify this message. In the lead up to the Global Goals announcement there are online activities like #DizzyGoals and the We The People project that asks everyone to make their own videos to be combined into a gigantic global movie. 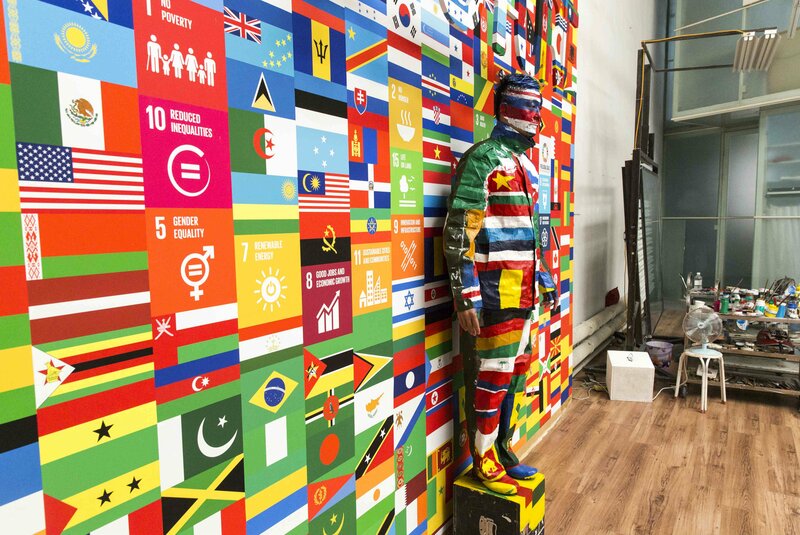 Or incredible art installations like the “Global Goals flags” that was kicked off by world-renowned Chinese artist Liu Bolin, with his art “The Future” which features 193 flags from every country in the world and the Global Goals. 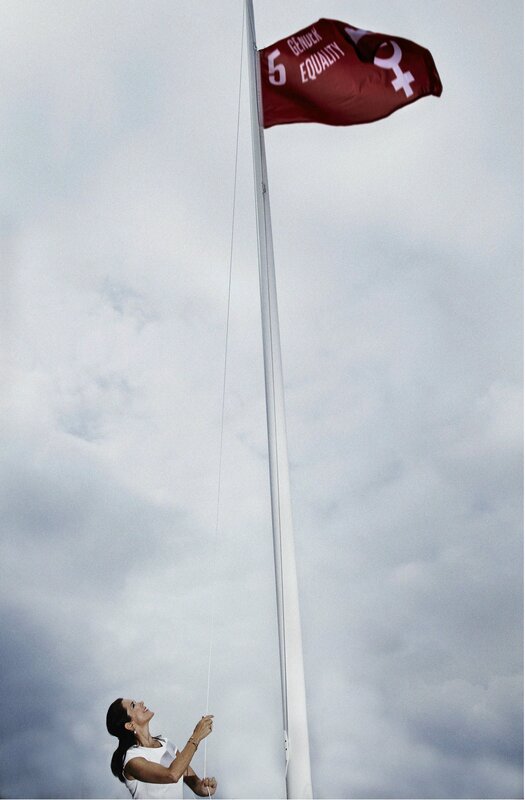 This will then be followed by raising 17 flags each representing the 17 Goals at some of the most remote communities in the world like the Himalayas. This started on September 1st with Princess Mary of Denmark raising the flag for Goal 5 (Gender Equality) at the Women Deliver Conference in Copenhagen. H.R.H. Crown Princess Mary of Denmark raises the first of 17 flags each representing 1 of the global goals. As part of the Women Deliver conference she raised the flag for Goal 5 for Gender Equality. And there will be music. Among them, Global Goals Africa will release a song, “Tell Everybody” by some of the continent’s biggest names. And stay tuned on Global Citizen for some music--but more on that in a few days. On the 21st of September a film about the Global Goals will be projected onto the UN headquarters in New York City. On September 24th, people of multiple faiths in over 150 countries will be learning about the goals and engaging their communities in prayer and action. And on the evening of September 24th, 2,000 organizations that make up Action/2015 will hold events in over 100 countries. As night falls across Sydney, Delhi, Johannesburg, London, Sao Paulo, people will unite to light the way to a mass rally outside the UN Headquarters in New York City. The 25th will of course see a global push on every medium possible. 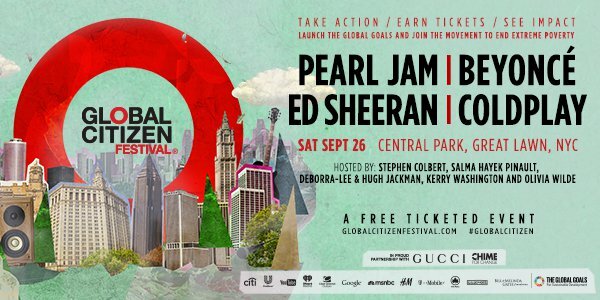 And then there is September 26th and the 2015 Global Citizen Festival: A huge opportunity to engage the world and get leaders to make the strong commitments needed to accomplish the Global Goals. You can get involved at the Festival page here. And it doesn’t stop there. Radio, text messages, lessons in classrooms across the world and more. This is just a small selection of the incredible opportunities to make the Global Goals famous and impactful. Stay tuned to Global Citizen, and particular Global Citizen’s Global Goals Campaign page for the latest ways to change the world through these 17 Global Goals. So the Global Goals campaign is a huge, truly worldwide campaign that will improve the world IF you get involved. Take the first step of this campaign and make the Global Goals famous by tweeting them out in TAKE ACTION NOW.